On August 21, 2017, a near-total solar eclipse will be visible in Montana between the hours of approximately 10 a.m. and 1 p.m. In Billings, the sun will be eclipsed by a whopping 93%. If you’d like to watch this rare astronomical event, it is important to make safety your priority. Even a short glance at the sun can cause serious damage to the eyes if you don’t take the proper precautions. Remember those childhood experiments when you crouched down on the playground, carefully balancing a magnifying glass over a piece of paper? It was amazing to watch as the sun’s concentrated rays first began to cause a spot on the paper to discolor, then smoke, and ultimately burst into flame. What you might not have learned from those elementary school lessons, however, is that the lens inside your eye works much like a magnifying glass to focus light on the retina, or back of the eye. This process allows you to see the world around you, and is quite remarkable. That is, of course, until you look at the sun. Keep in mind that few people ever actually look directly at the sun. Most of us shade our eyes with our hand, a hat brim or with sunglasses, as bright sunlight is painful to view. Our eyes even try to protect themselves; walk outside on a sunny day and you may automatically blink hard, look away and begin to squint without a second’s thought. So if an eclipse actually blocks sunlight, why is it so important to wear specialized eye protection when viewing one? The key is that light and UV rays are not the same thing. UV rays are invisible and can penetrate the clouds year-round even if our eyes don’t see brightness (Read more about UV here). Wearing specialized eye protection is a must when it comes to eclipse viewing. This is true even if our skies are smoky or cloudy on the day of the big event. 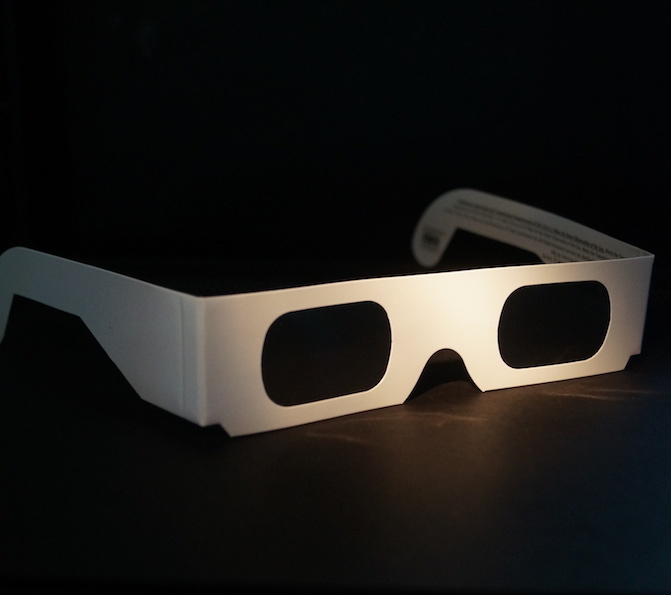 “Eclipse glasses” or solar viewers that meet ISO 12312-2 safety standards are a MUST. Without them, permanent damage can occur to your eyes. Because the back of the eye contains few pain receptors, such injuries are often not felt or noticed until hours or days after exposure. Just as regular sunglasses aren’t sufficient for staring directly at the sun on normal day, sunglasses also aren’t enough to protect your eyes from the sun’s harmful rays when viewing the eclipse. Most welding shields or glasses aren’t effective either—plus they are bulky, heavy and hot to wear. If you’re planning on using a telescope, camera or binoculars during the eclipse, know that it’s critical they be fitted with specialized protective lenses on both ends. Binoculars and telescopes work by magnifying vision through the use of glass and mirrors. Without the right protective lenses, you will damage your equipment—and more importantly place the health of your eyes at risk. 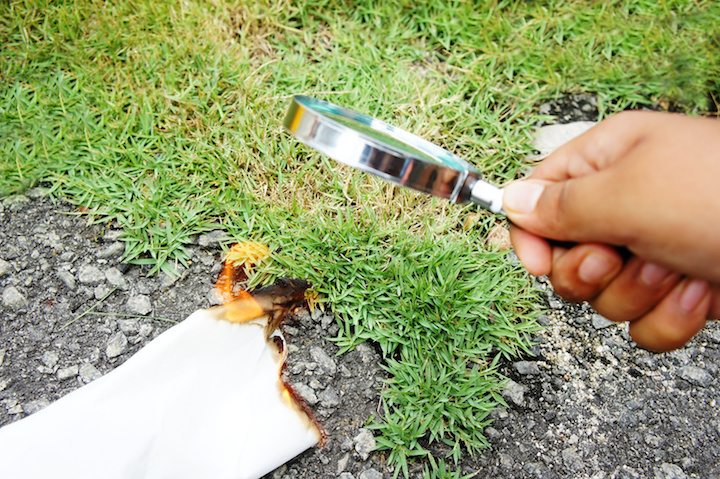 DO carefully inspect your solar glasses and discard any that are scratched or damaged. DO put your eclipse glasses on before you glance at the sun. After you look, lower your gaze before removing your eclipse glasses. DO glance only occasionally at the sight – even while wearing your eclipse glasses. Regular breaks are essential to protect your vision. DO closely supervise children who are using eclipse glasses or other solar viewers to ensure that they wear them properly and do not look at the sun. DON’T remove your glasses while you are looking to the sky. DON’T look directly at the sun without your eclipse glasses. Even a glance at the sun can cause serious, permanent damage to your vision. More Eclipse Eye Care Questions? Just Ask. Bauer & Clausen Optometry is excited about science and we care about your vision. We’ve ordered eclipse viewing glasses that will allow you and your family to witness the 2017 eclipse in both comfort and safety. 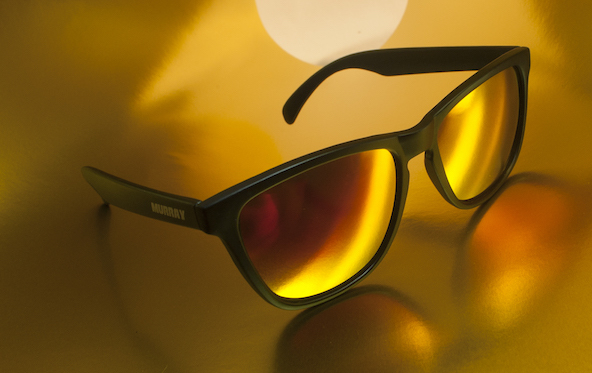 A limited number of glasses are available for $2.00 each on a first-come, first-served basis. Stop by or call our office during regular business hours to reserve a pair for you and your family members. 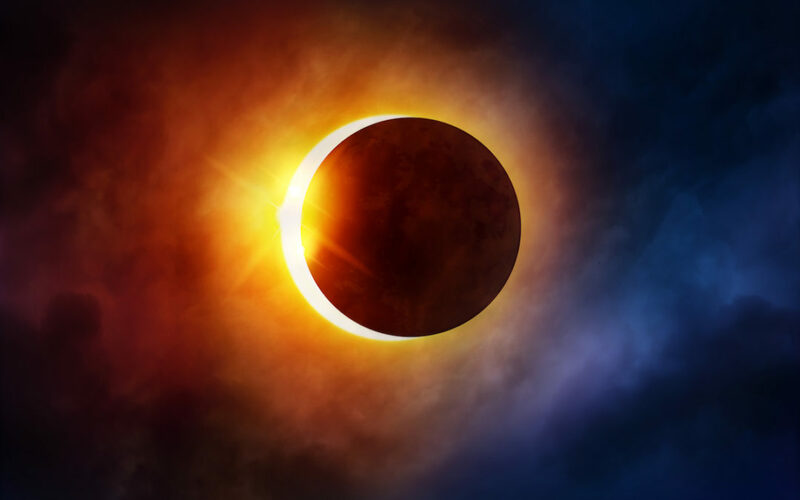 If you have any other questions about your eye health before or after the eclipse, we invite you to schedule an appointment with one of our optometrists.